Pinball Massacre is a successful freshman video game project for the Mac and iOS platforms from PostageVFX. The creative team of Joseph Krzemienski, Courtland Ellis, and Riley Hearn share about what kind of things go into making a game a reality and what tricks they used to make Pinball Massacre stand out from other pinball games. It all started when Riley, who worked to create the objects in the game, approached Joe and Courtland with a skeleton of a pinball game to see if they would like to tie it into their Stabb Gunner graphic novel. Jumping at the opportunity, they began designing the visuals that would overlay the board as well as a tie-in to Stabb Gunner. The game isn’t just themed to match the graphic novel, it’s actually a plot point in the story functioning as a pinball tournament on the scale of the superbowl, according to the team. 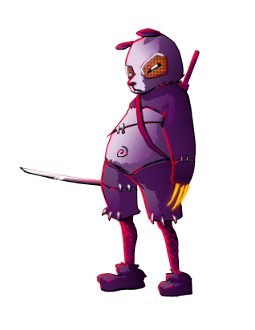 Joe describes the overlaying theme of Stabb Gunner as a revenge story with elements that you won’t see anywhere else, such as a chainsaw sword and a character that wears a stuffed bear as a costume. Courtland draws inspiration for the art in the series from his many influences, some of which are behind the animation in Ben 10, Samurai Champloo, and many more. As for the coloring, Joe says he takes the colors to where they hurt to look at and then dials it back from there so that the world feels saturated with color. If you’d like to read Stabb Gunner you can catch the first issue at The Fictory Comics. You can download Pinball Massacre on iTunes. Support for this episode provided by Winding Way Books, Pennsylvania College of Art & Design, & Lapp Structures.